Once a barren land, today Regina is the heart of culture and commerce in southern Saskatchewan. Known historically as the site of the Northwest Rebellion which ended in the hanging of Louis Riel in 1885, Regina is now the second largest city in Saskatchewan and the capital of the province. Located on the flat plains of the prairies, the city revolves around Wascana Centre, home to the University of Regina, Royal Saskatchewan Museum, Saskatchewan Science Centre, First Nations University of Canada and man-made Wascana Lake. Though the area is surrounded by some 300,000 trees, none are native to the land. Each was hand-planted to alleviate the city's bare appearance. The flat land, however, has produced a strong agricultural sector for the city, which also includes manufacturing, mining and technological industries. With a population of nearly 200,000, Regina offers residents their dose of arts and culture through the MacKenzie Art Gallery, Globe Theatre, Regina Symphony Orchestra, Saskatchewan Centre of the Arts, and the Regina Conservatory of Music. Locals and visitors also enjoy the Craven Country Jamboree, Regina Folk Festival, Regina Dragon Boat Festival and the Queen City Ex. 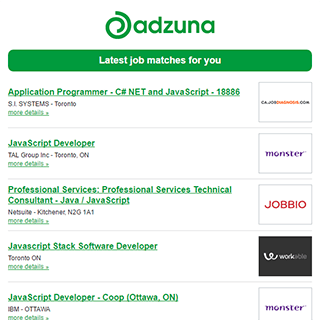 The Adzuna recency index score for this search is 1.25, suggesting that demand for job vacancies in Regina is increasing. The average salary for open Regina jobs is currently $27,644, 74% lower than the national average salary for all jobs which is $106,262. The standard deviation of salaries for the results of this search is 13,105. 39 new job listings for this search have been found in the last calendar day, compared with 144 in the last 72 hours and 268 in the last week. Get the latest Jobs in Regina delivered straight to your inbox!